In this week's episode of Kotaku Talk Radio we'll be talking about the reinvigorated console wars, the downside of pre-order goodies, whether we finally have a great Batman game, Jonathan Coulton's latest album and of course fielding calls from you. 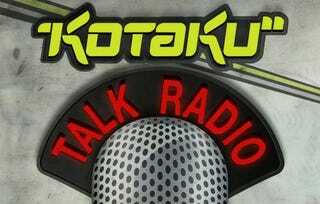 Want to be heard on Kotaku Talk Radio? Call us on the air LIVE at (347) 857-3782!